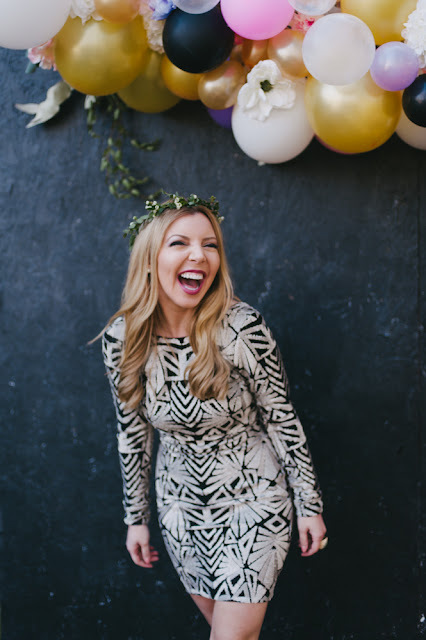 Christina is hands down one of our favorite clients. 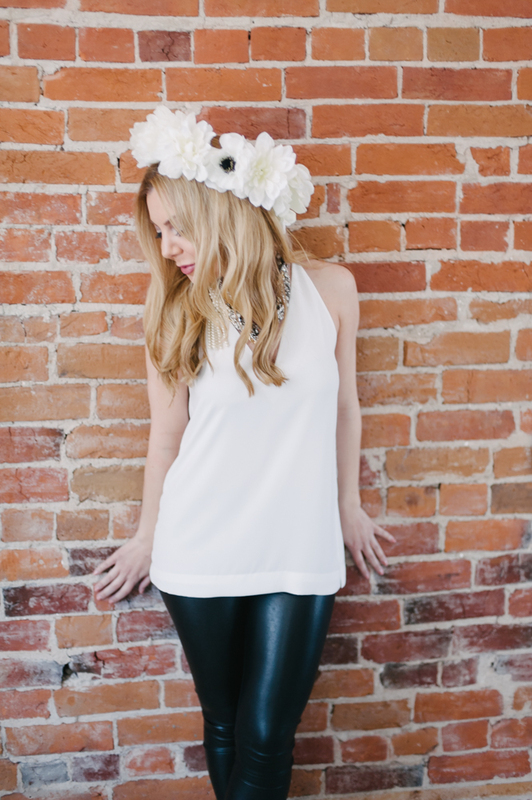 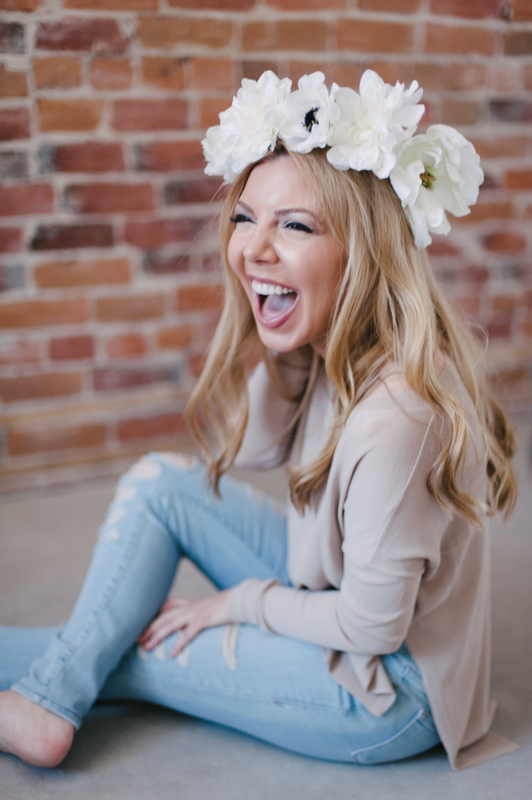 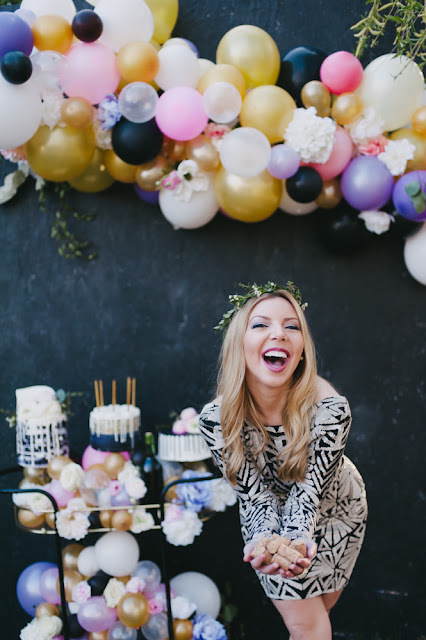 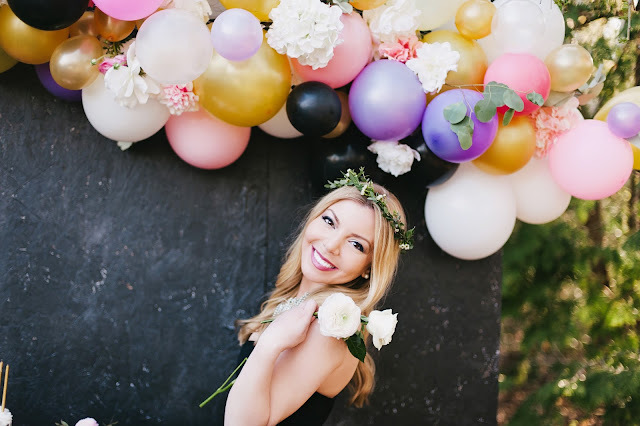 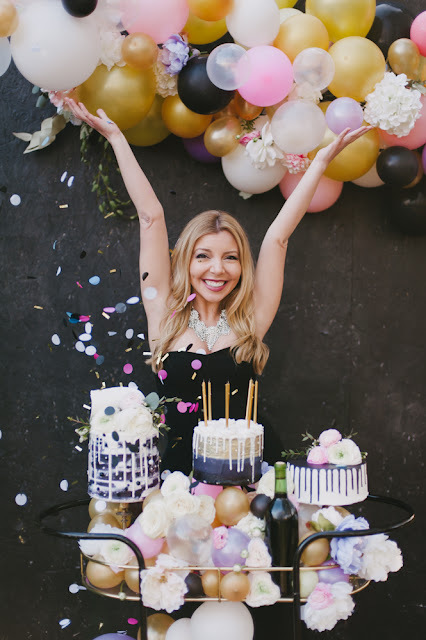 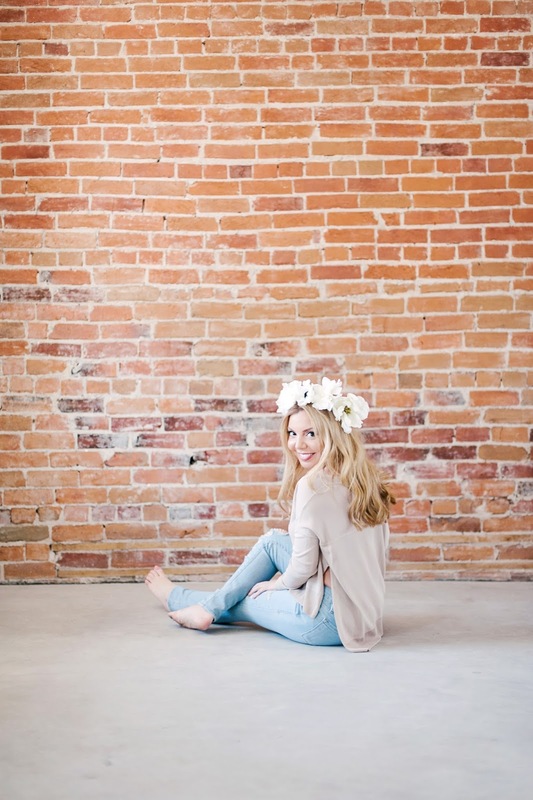 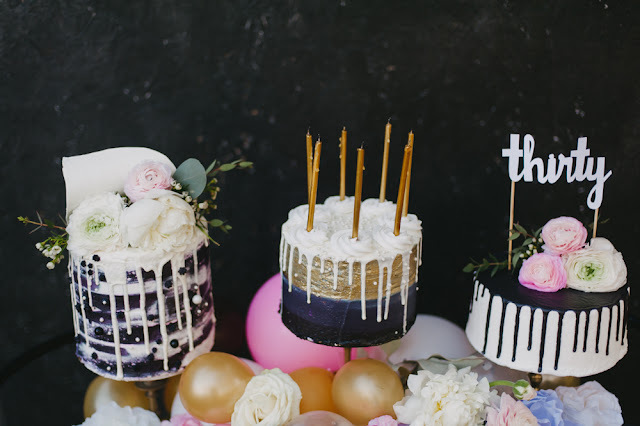 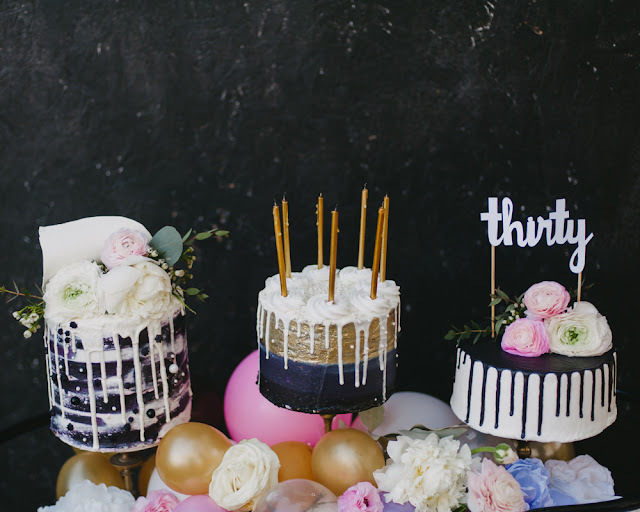 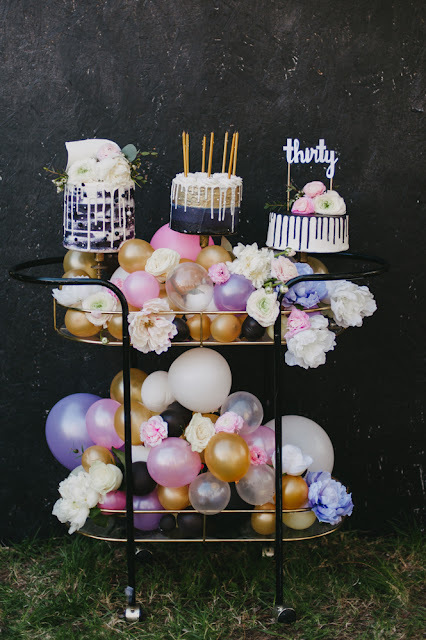 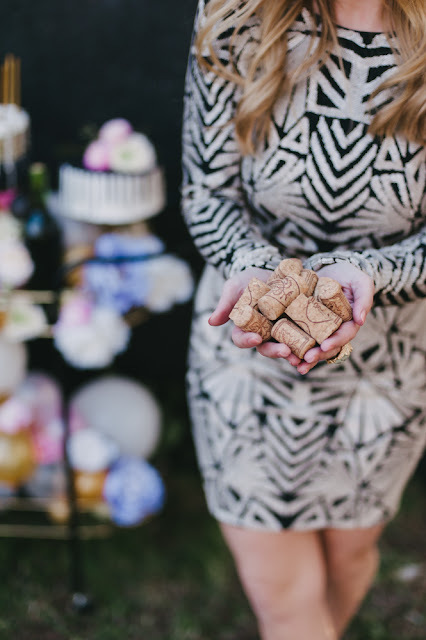 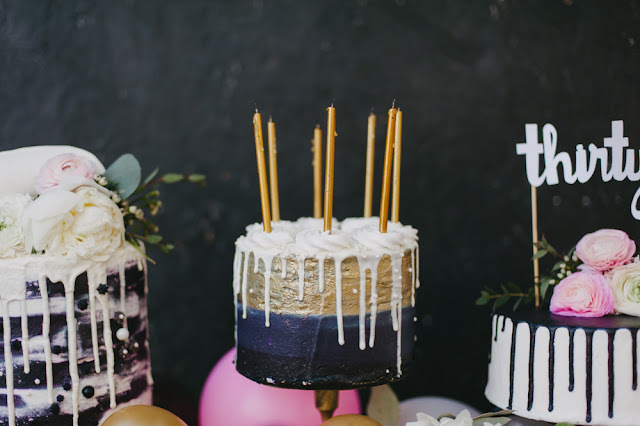 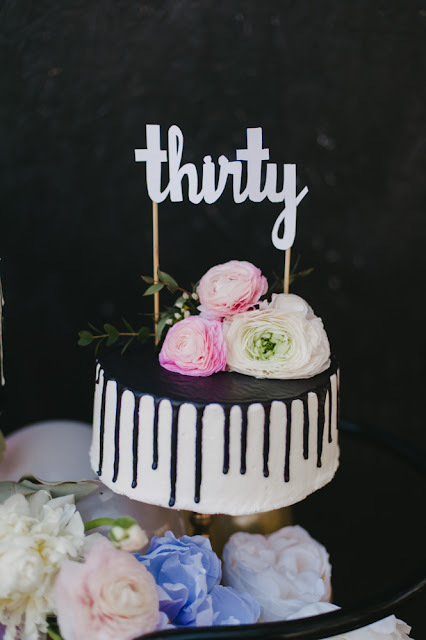 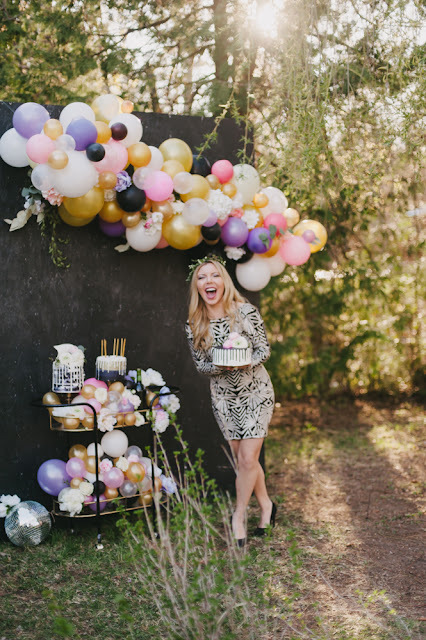 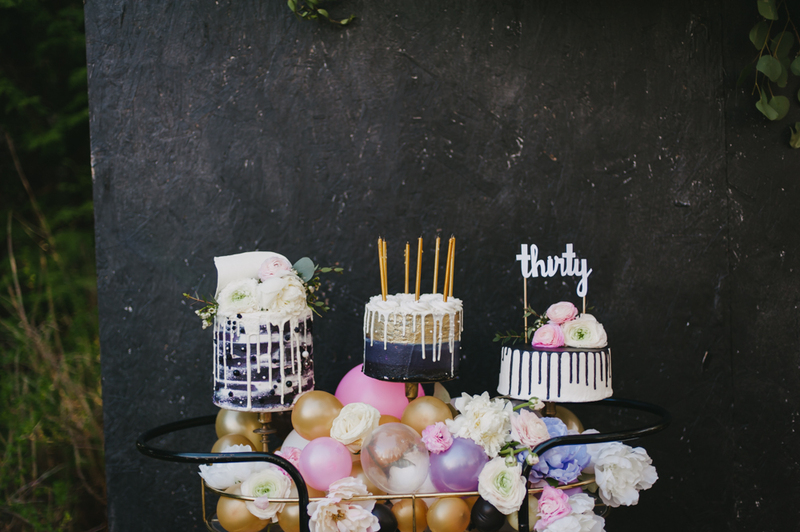 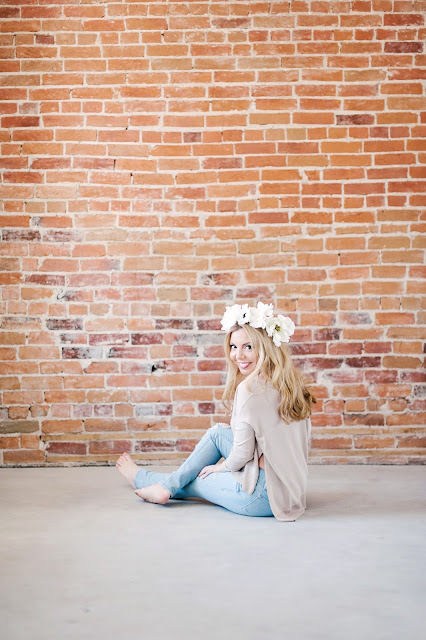 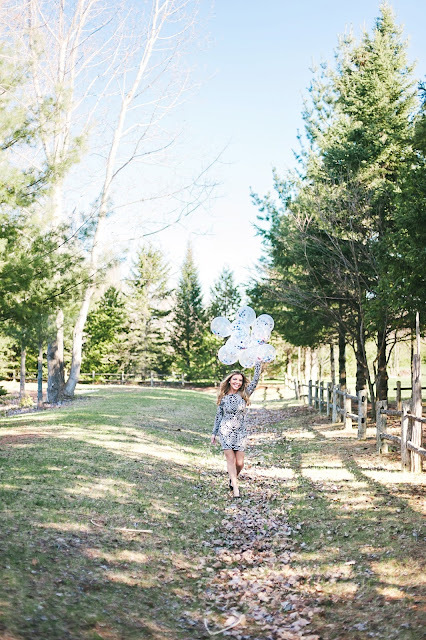 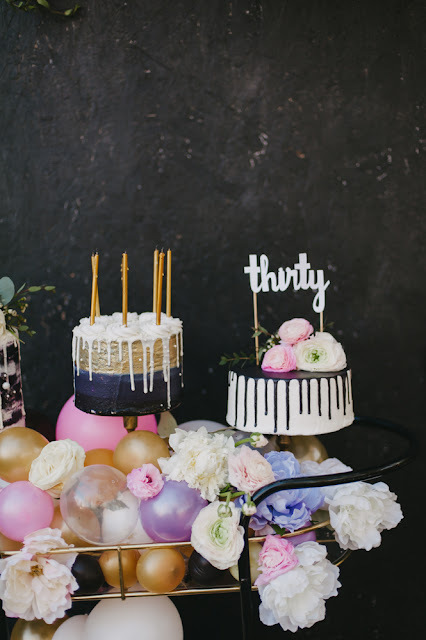 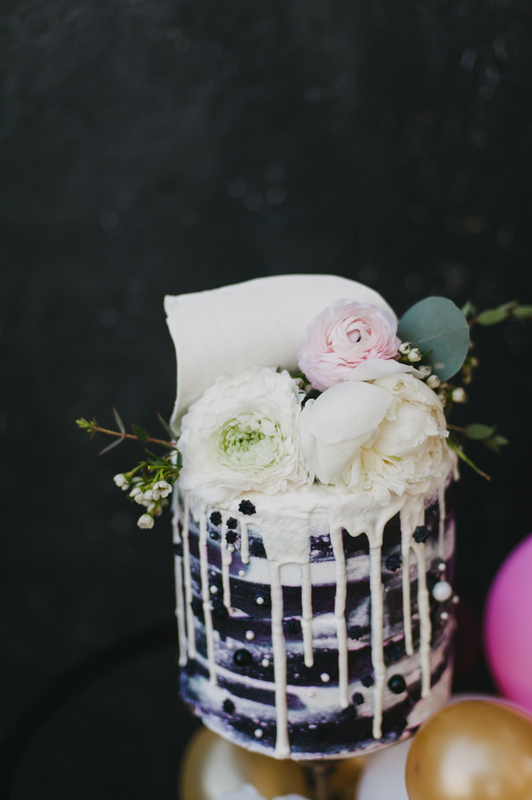 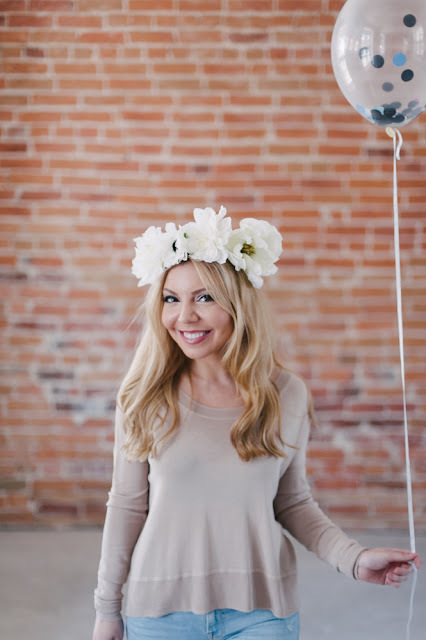 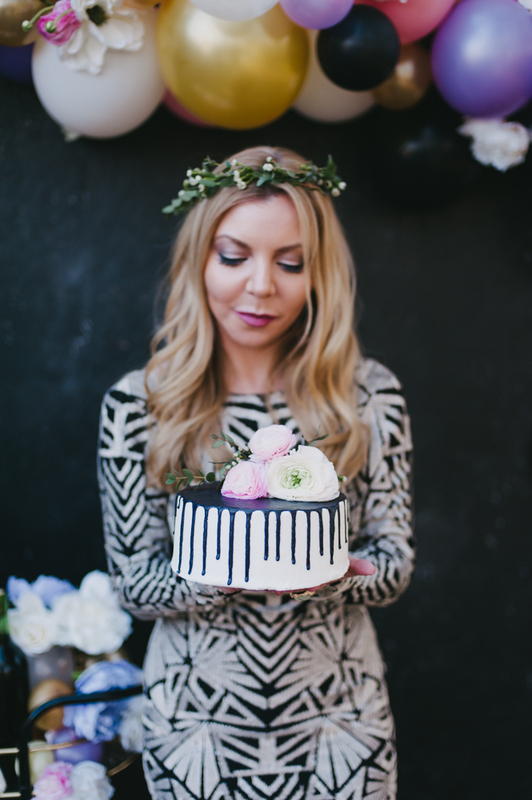 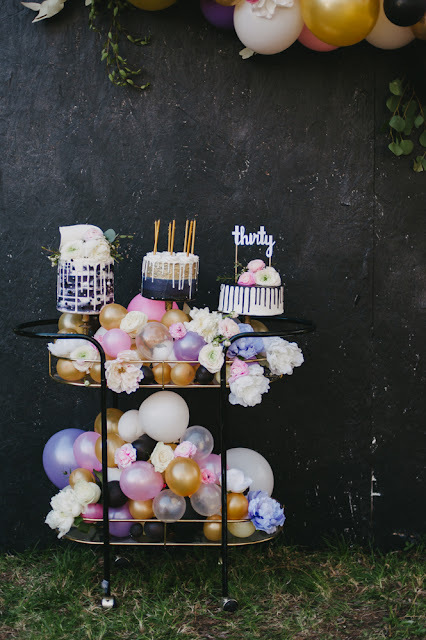 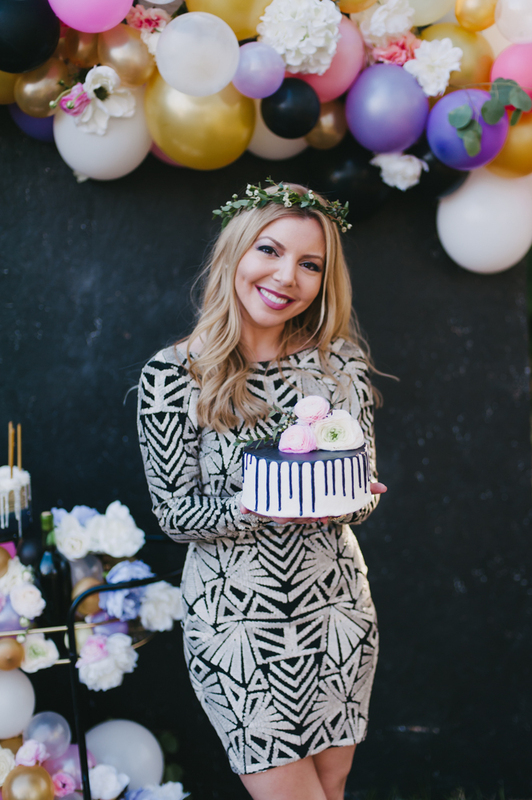 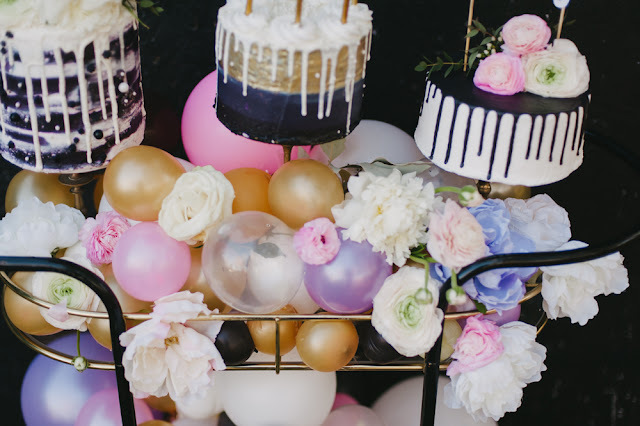 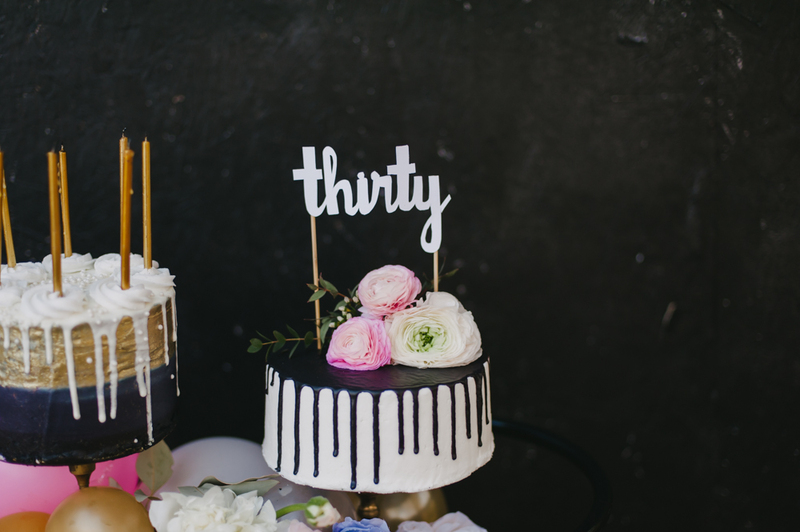 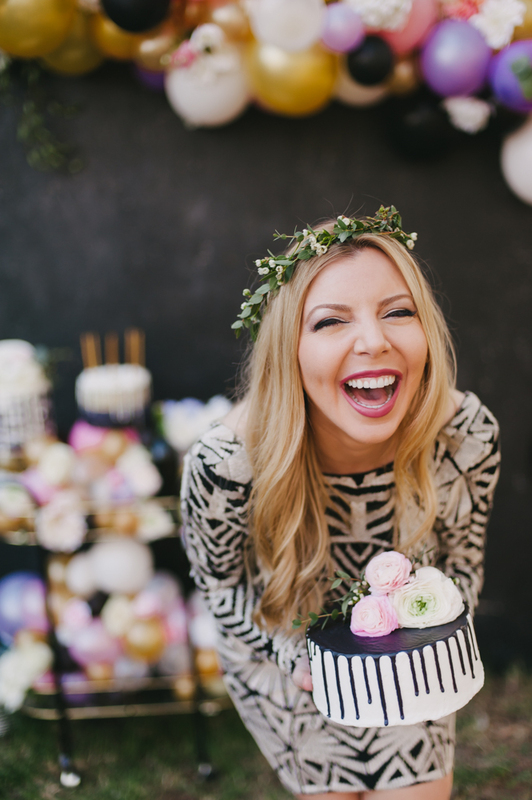 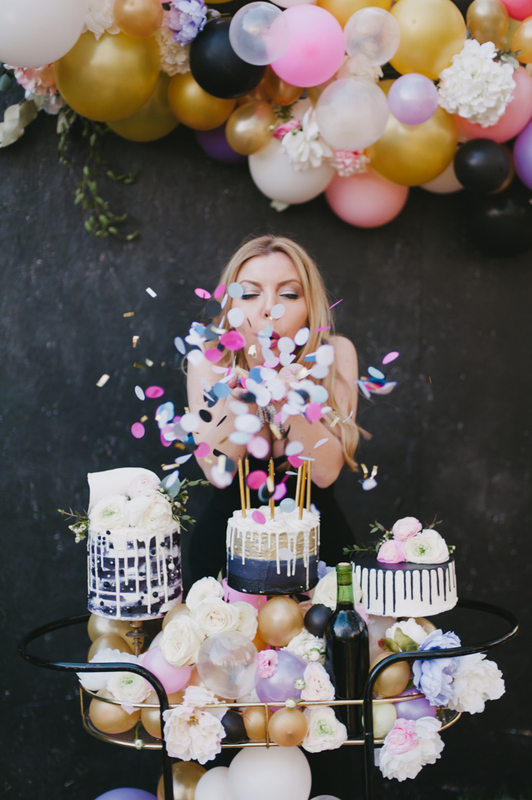 This is her second styled shoot with us, and she's all about them build-a-cakes. 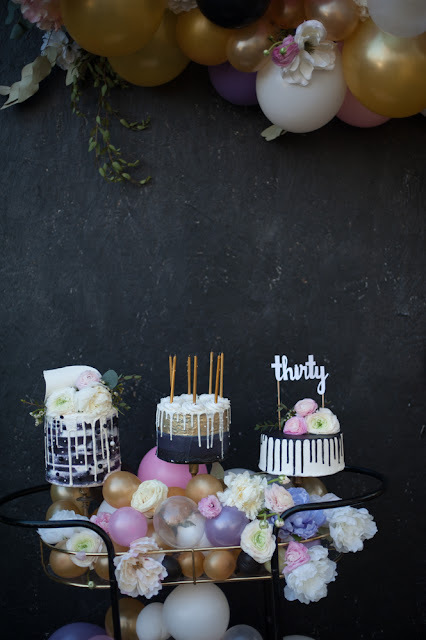 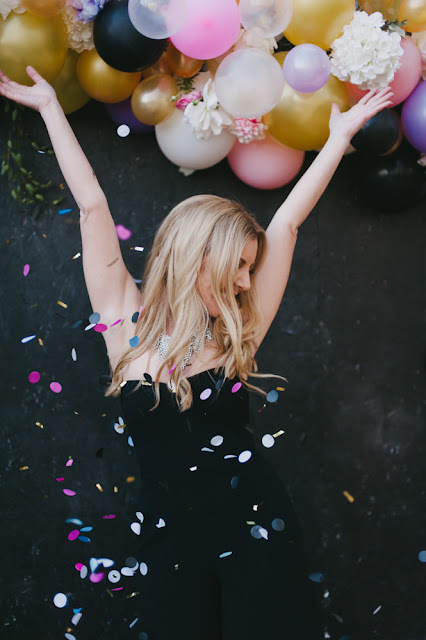 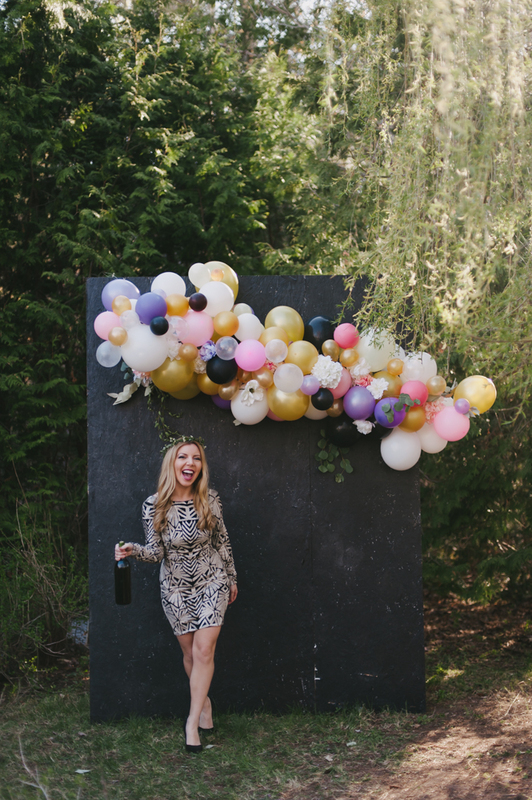 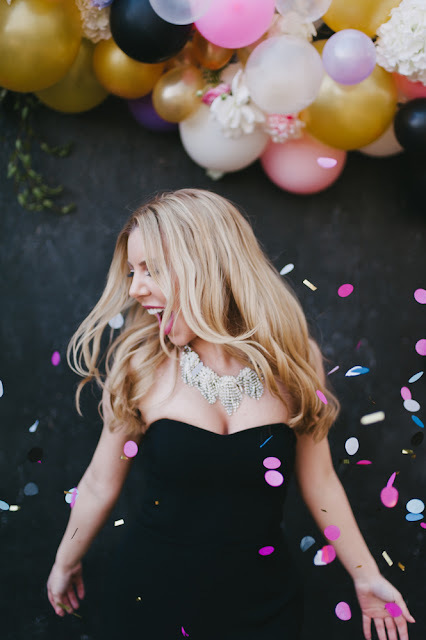 She asked Nat and I to create a fun concept for her 30th birthday photos. With help from the boys we made this free standing 6' wall styled with a balloon arch inspired by The House That Lars Buit (they featured us it in a post!). 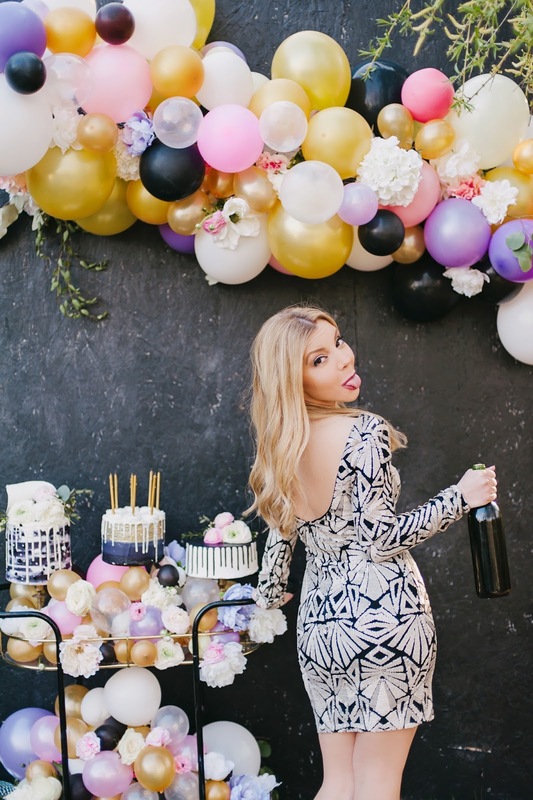 Christina loves black, white and gold, but we didn't want the images to look too NYE-ie, so we added splashes of color. 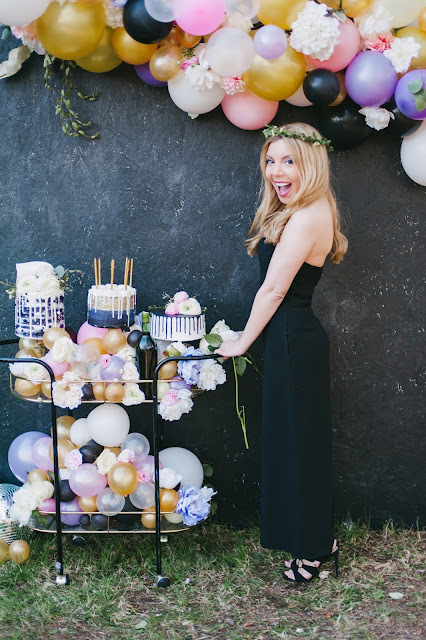 I found the bar cart at a flea market for $10 an gave it to Nat a few years ago for her kitchen. 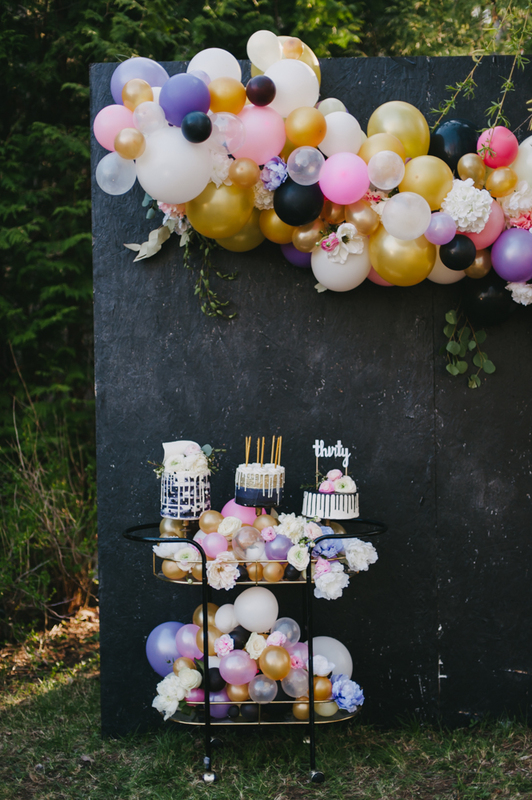 We had this vision of it over flowing with balloons and flowers and I'm pretty excited about the final product. 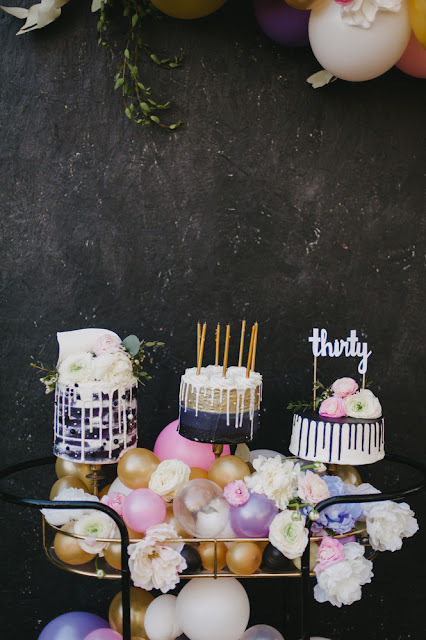 The cakes were an added touch because we know how much Christina loves a pretty cake. 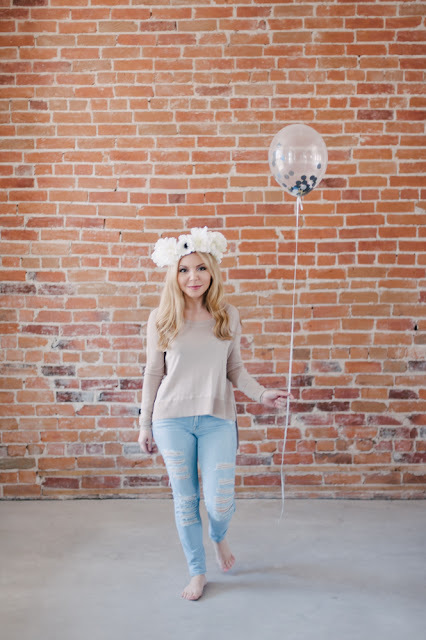 Nat's mad photography skills make everything look so good. 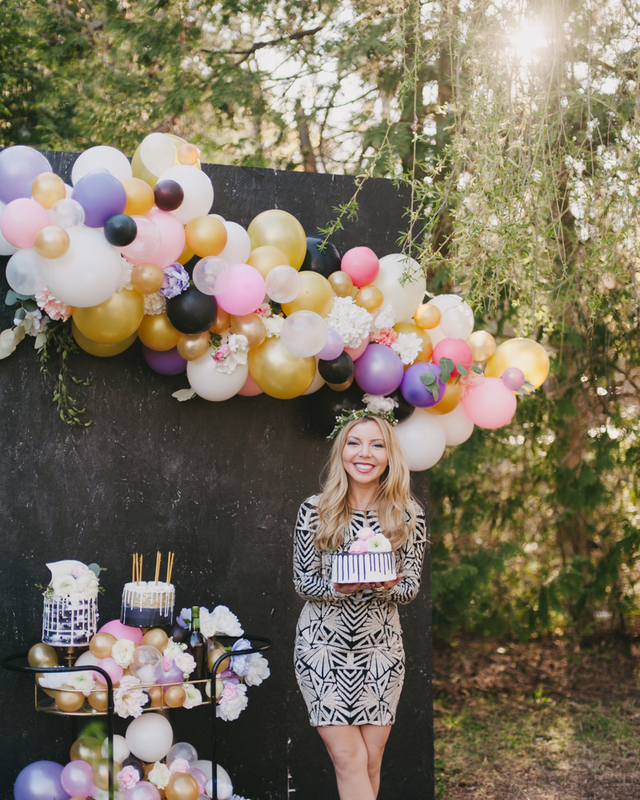 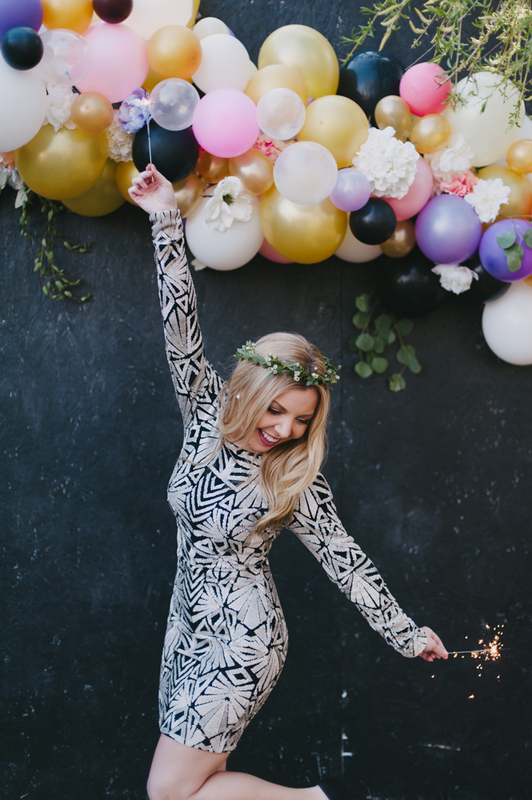 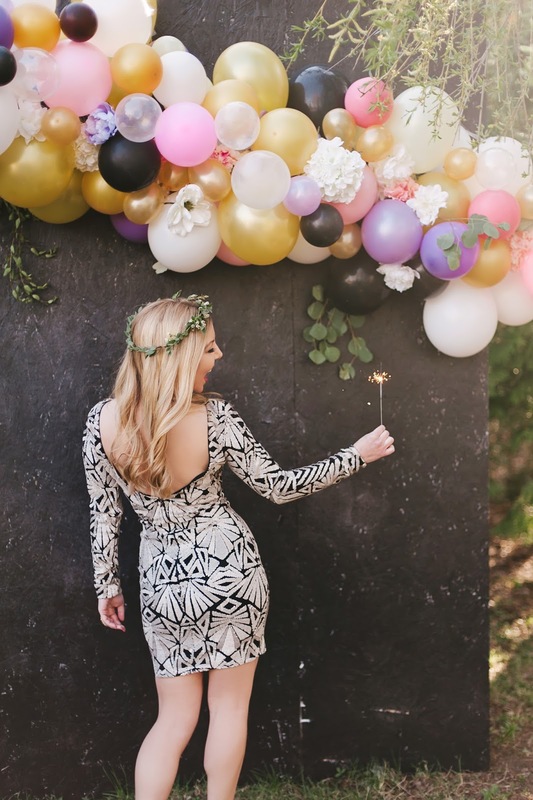 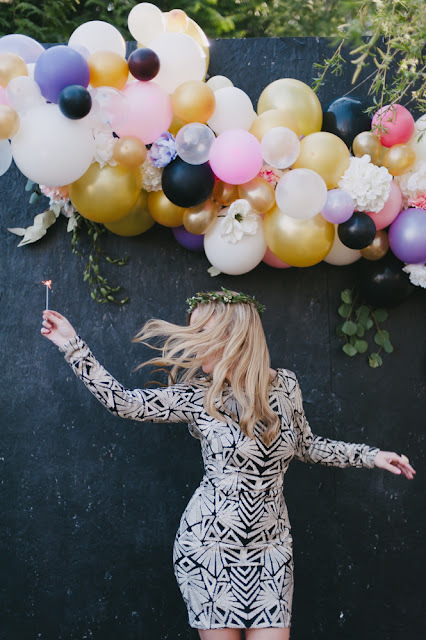 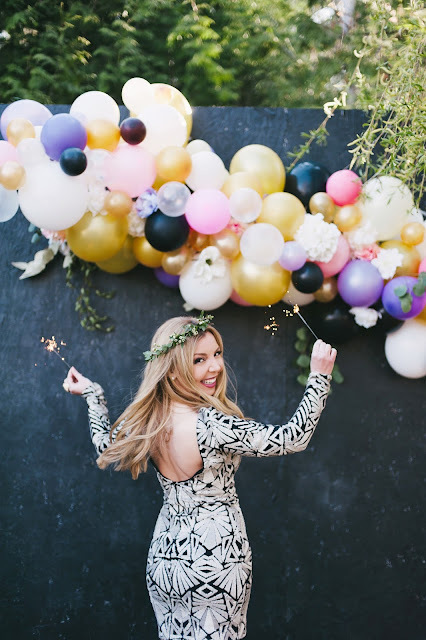 This shoot makes me want to throw a party. Imagine this as a photobooth? 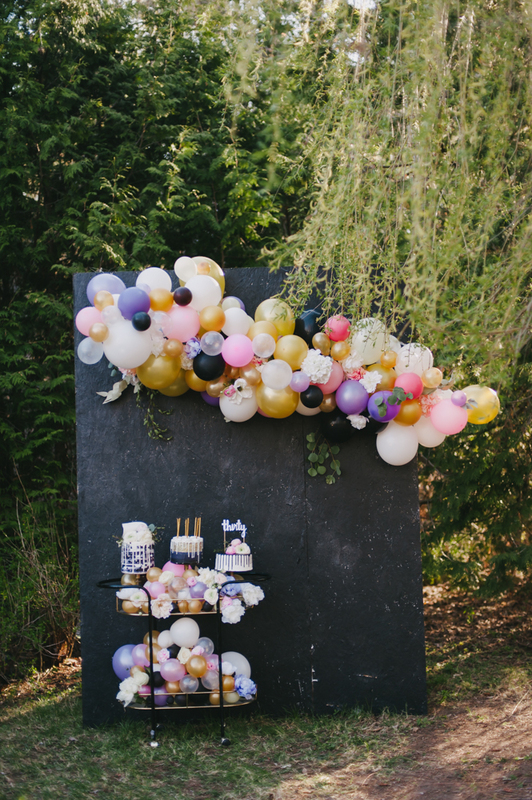 or outdoor sweet table backdrop? Oh hells yes!